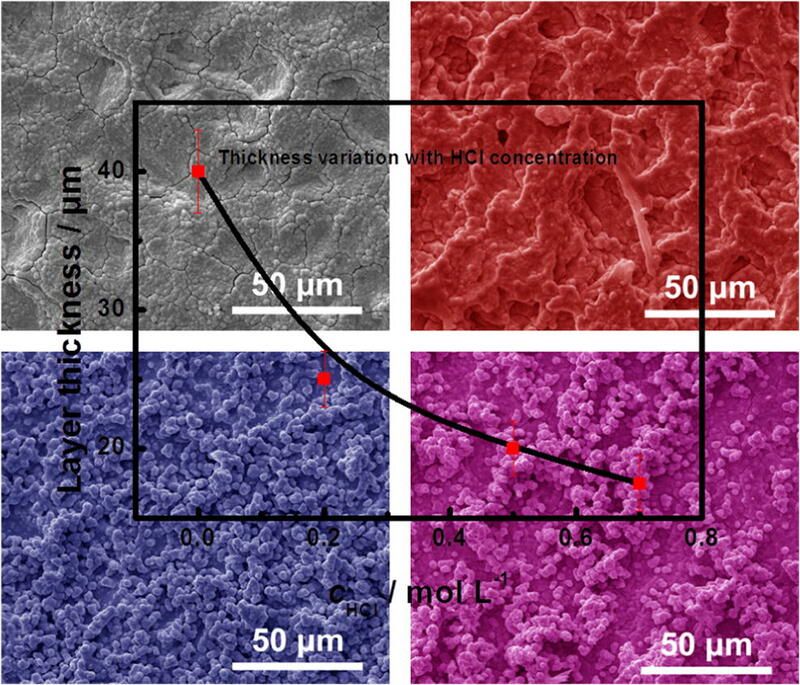 Distinct three-dimensional hierarchically stacking SnO2-Sb/TiO2-NTs electrode with a good-adhesion TiO2-NTs@SnO2-Sb interlayer, a compact plate SnO2-Sb middle layer, and an apparent uniform microsphere layer was successfully prepared through the hydrothermal method. The evolution of micro-morphology and structure of electrode catalyst layer was realized so as to improve the catalytic performance of electrode through tuning the hydrochloric acid concentration. 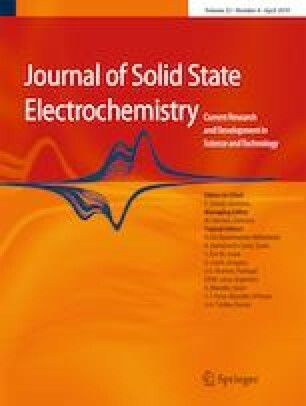 Experimental results show that SnO2-Sb/TiO2-NTs electrode prepared in 0.5 mol L−1 HCl condition possesses the optimal performance containing a low phenol oxidation potential of 1.2 V (vs. SCE), and a maximum current density of 3.8 mA cm−2 towards phenol degradation in phosphate buffered solution. The electrochemical phenol removal results show that the phenol degradation process coincides with the first-order kinetics and the corresponding optimal constant reaches 14.2 × 10−3 min−1. The TOC removal efficiency of optimal electrode reaches 62%. The evolution of micro-morphology and structure of electrode was realized through tuning the hydrochloric acid concentration so as to improve the catalytic performance of electrode.